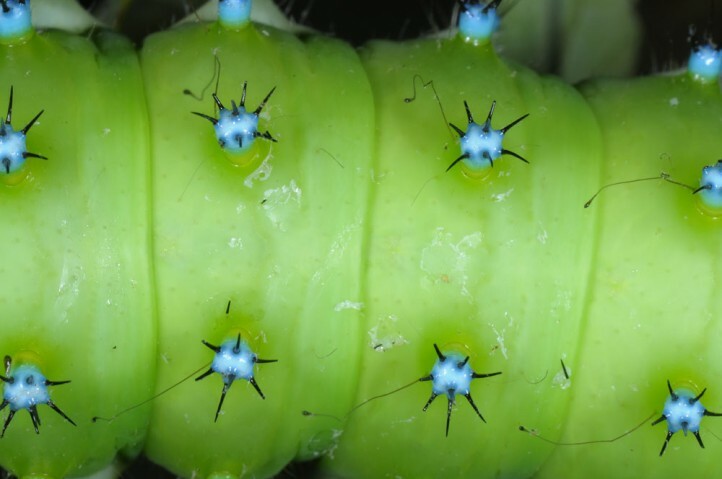 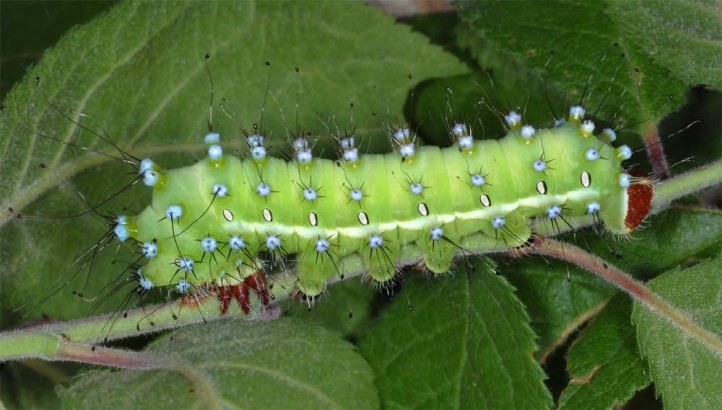 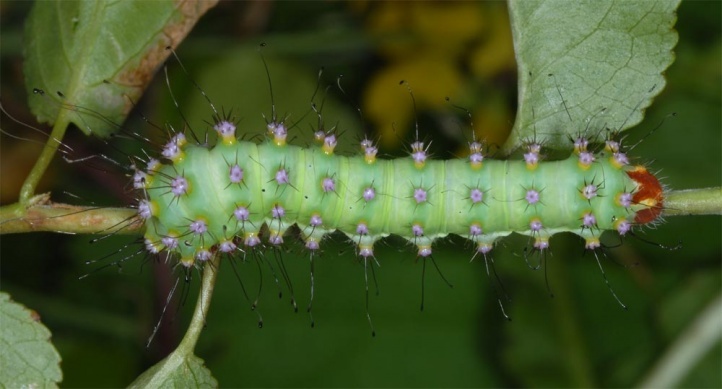 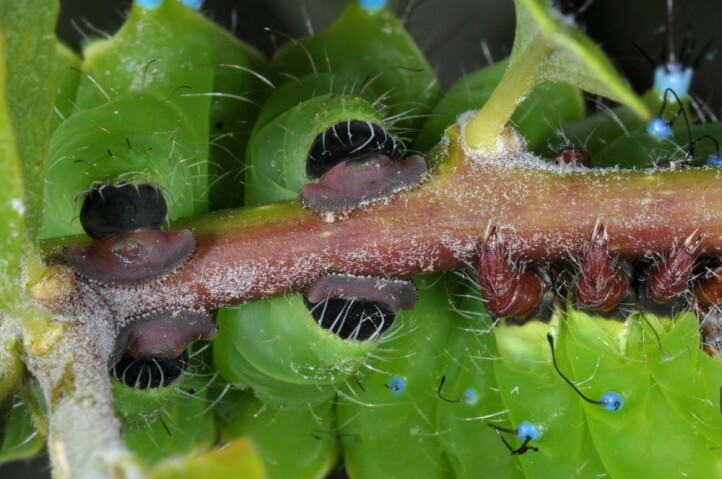 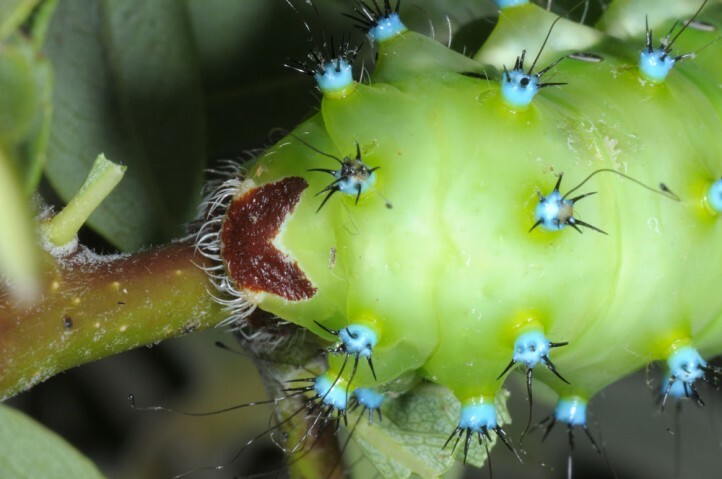 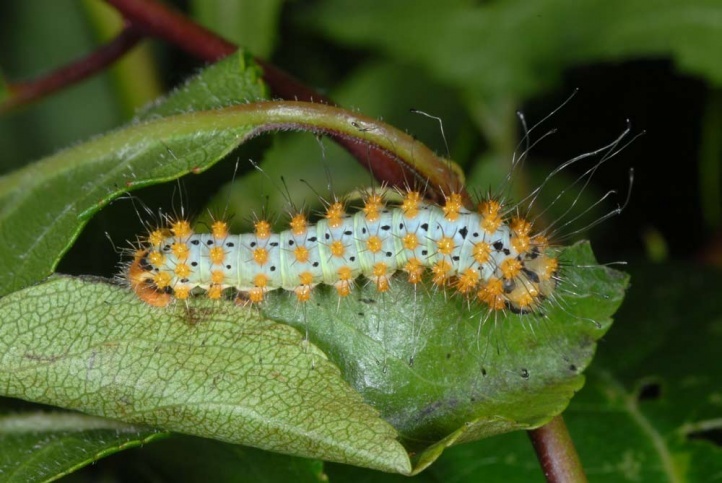 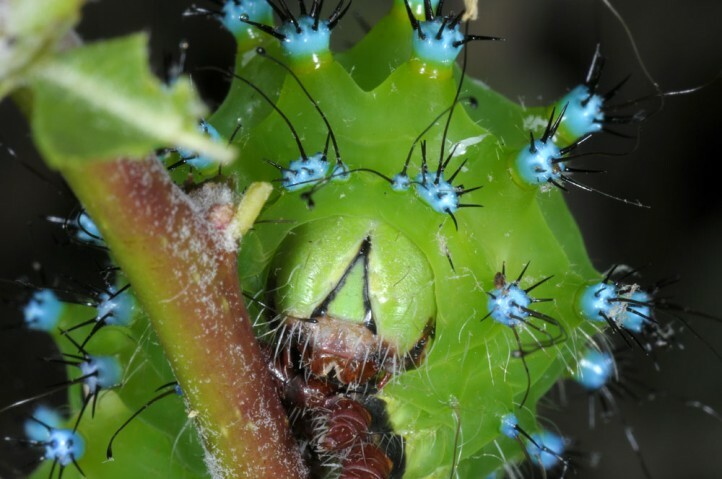 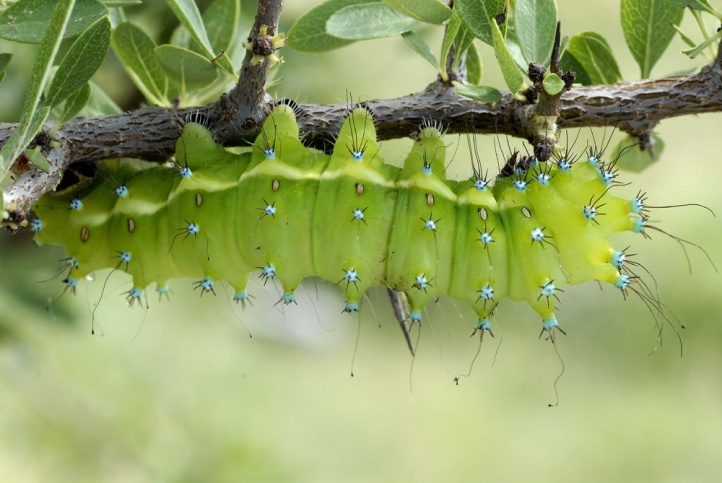 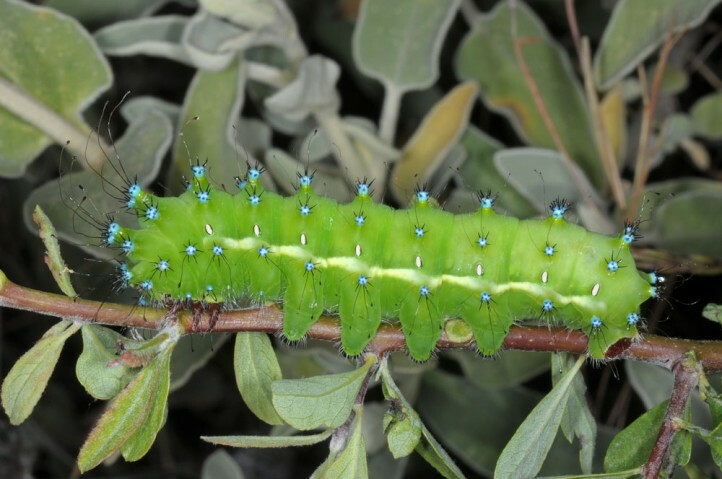 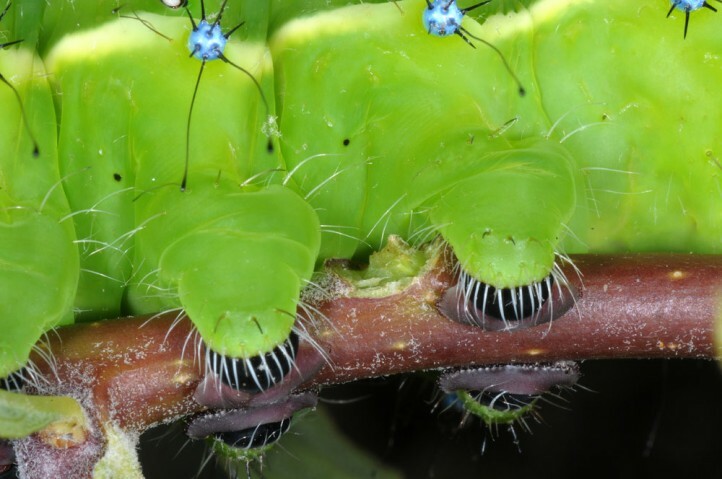 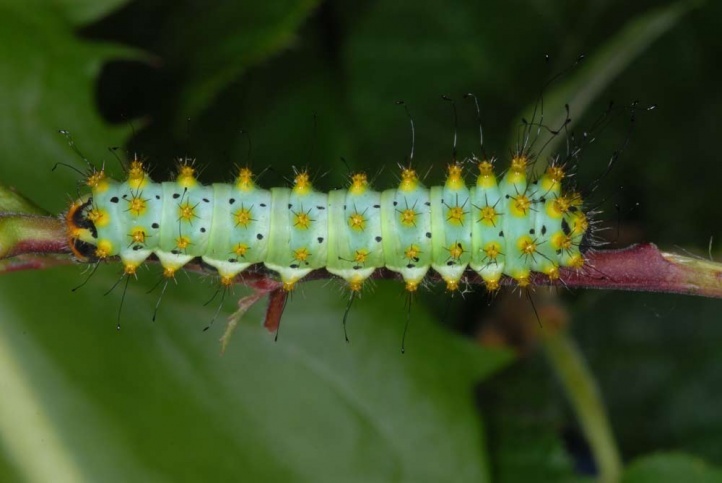 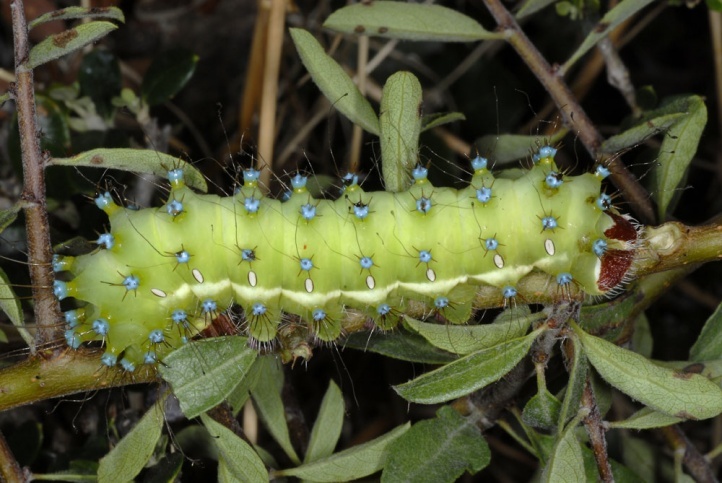 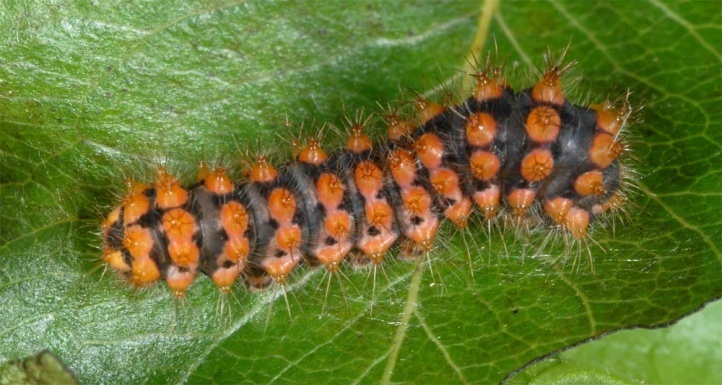 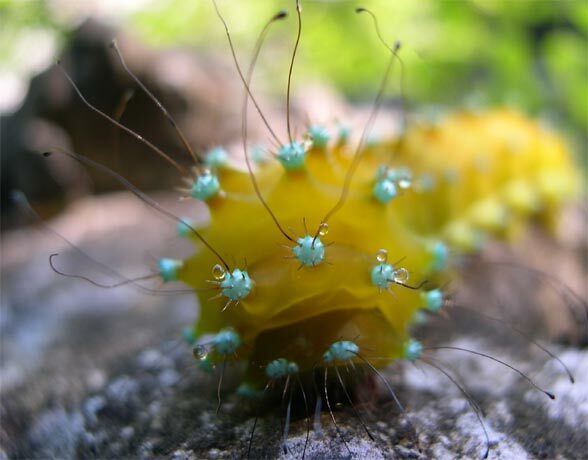 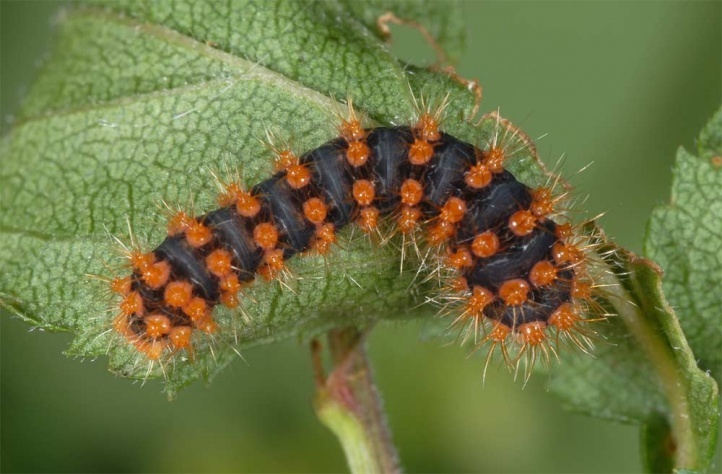 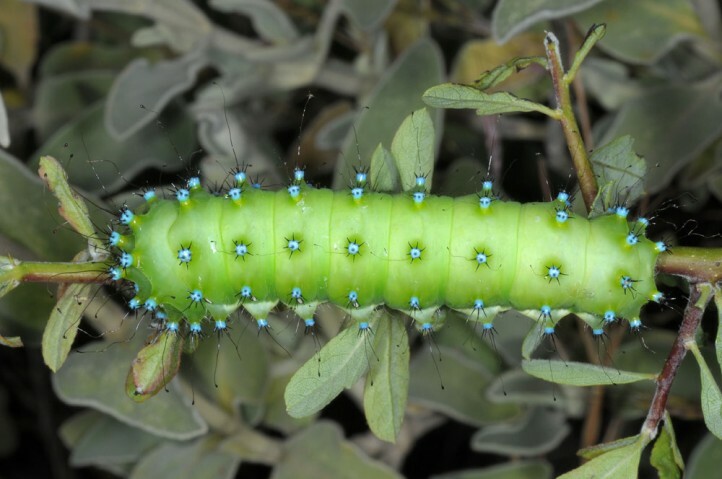 The caterpillar lives on deciduous trees and shrubs, especially Rosaceae. 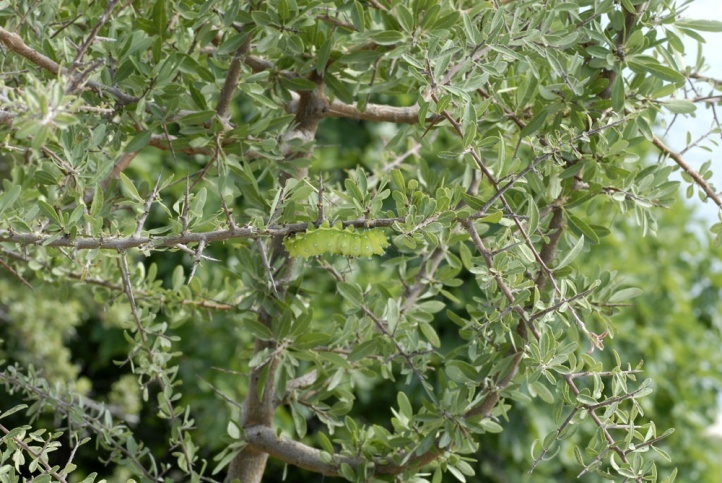 Most important are often wild Pyrus species, e.g. 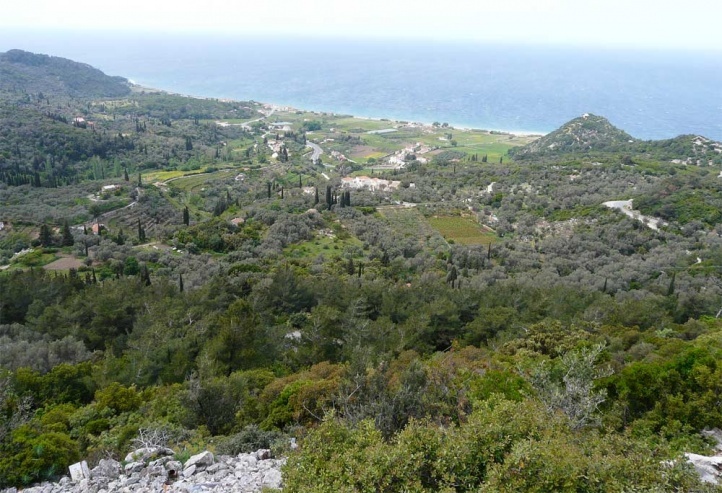 in Greece. 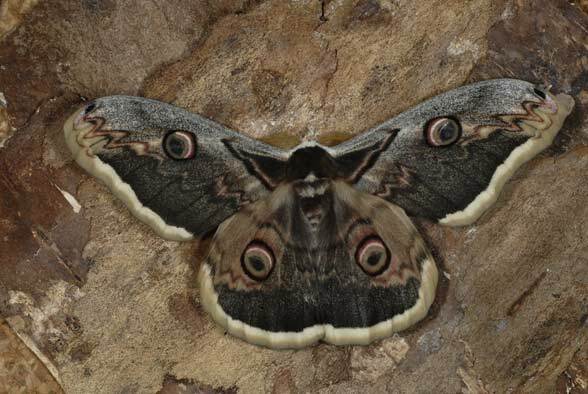 Saturnia pyri inhabits warm slopes with open scrub and other wood-rich locations. 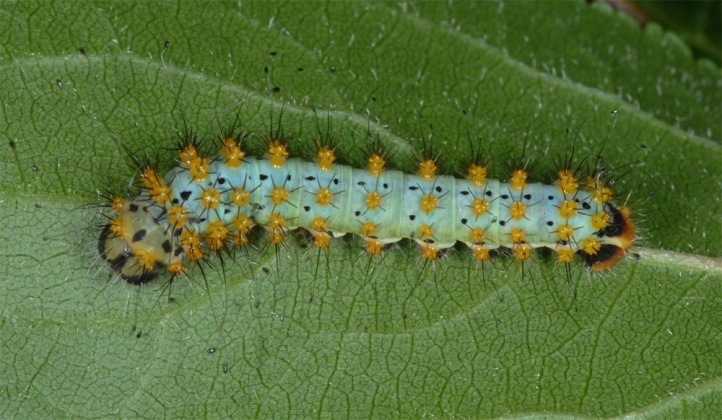 It is also found in orchards, when not spraying insecticides. 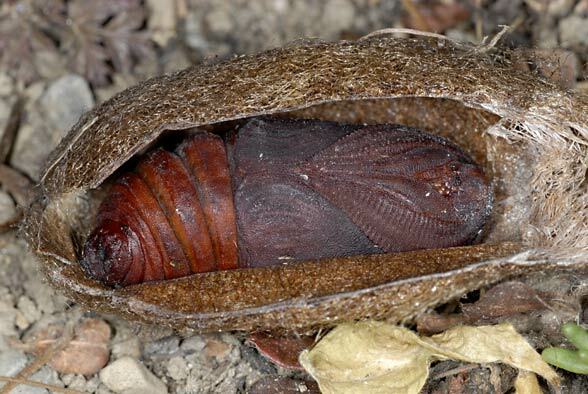 The pupa overwinters in the cocoon, often more than once. 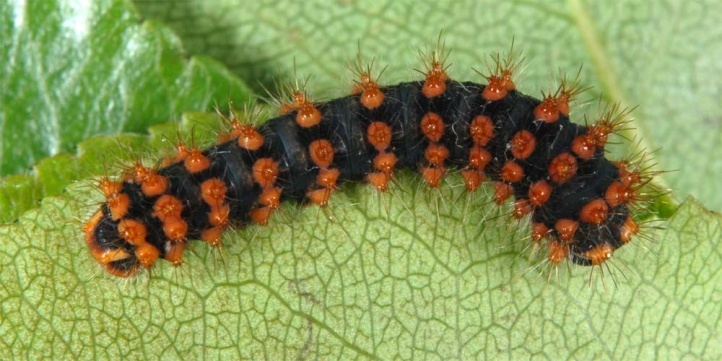 The moths fly from March to June and lay eggs singly or in small groups on thin branches or leaves. 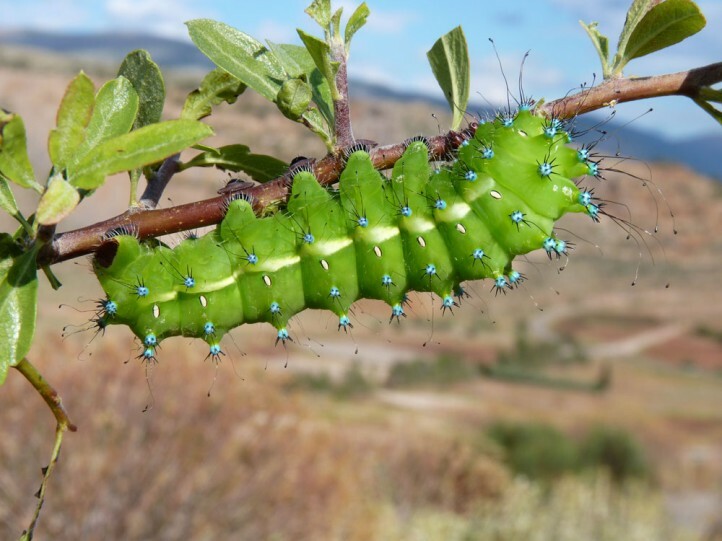 In Northern Greece I found many larvae and cocoons only on a thorny, wild Pyrus species (Pyrus spinosa). 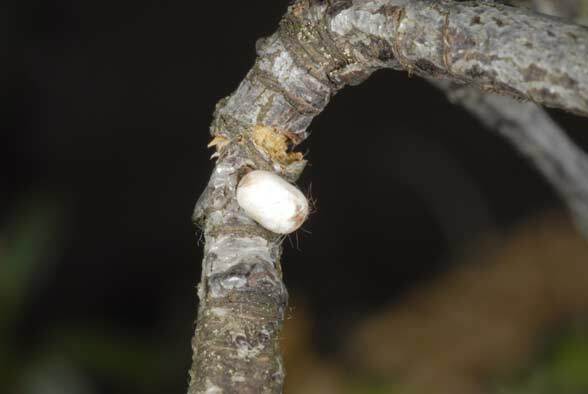 Under the infected trees, the ground was littered with large droppings. 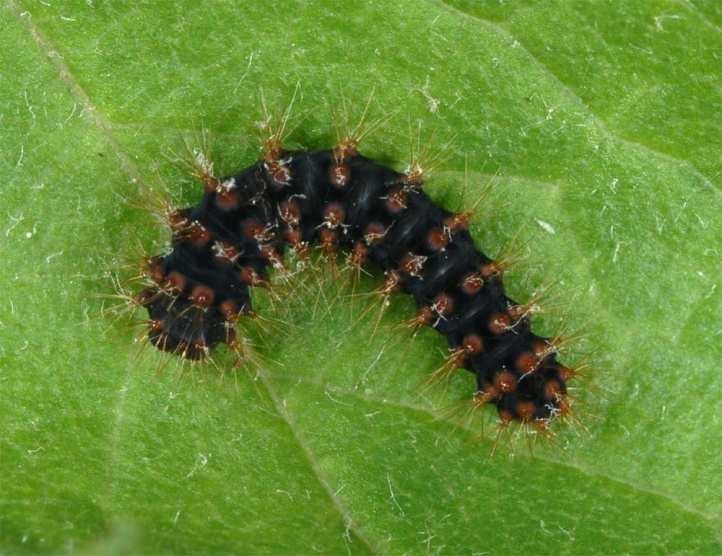 Mostly I found between 1 and 3 larvae per bush. 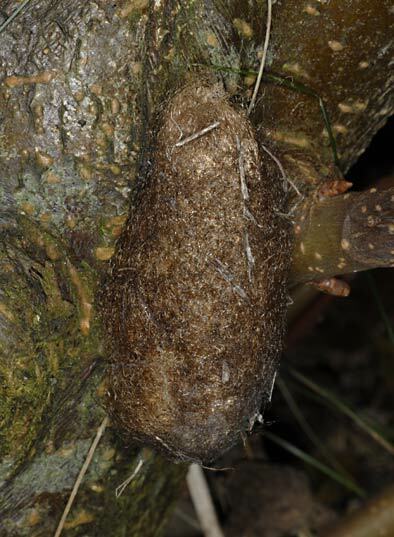 A portion of the cocoons is apparently applied on the tree trunk base on the bark. 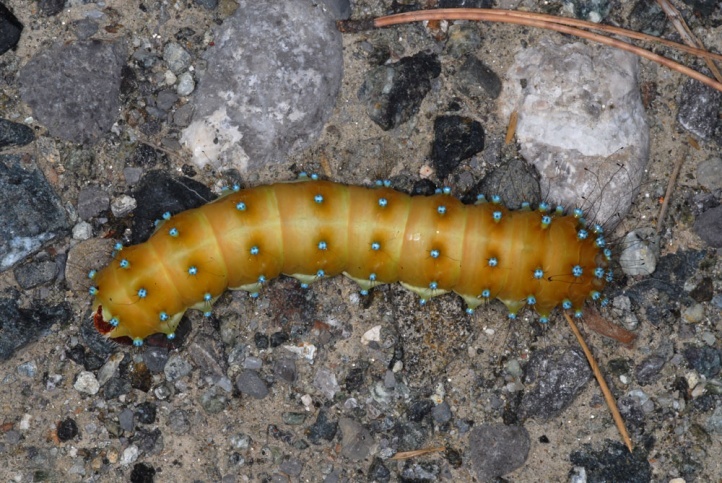 But another part of the larvae moves before pupation in a wider circumcircle, as several observations of also flattened caterpillars on roads show. 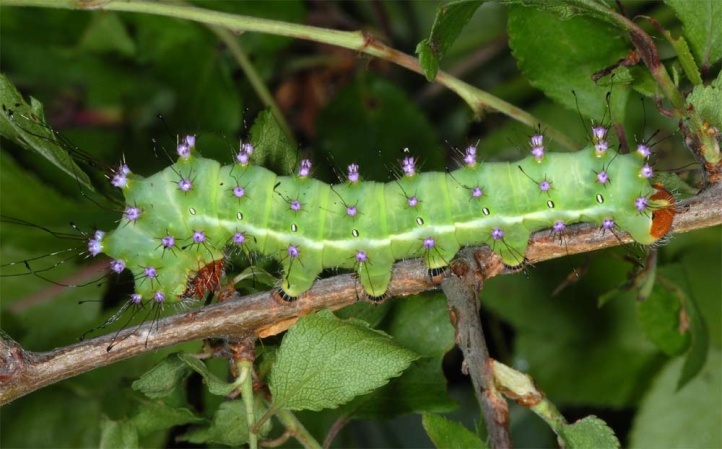 In early May 2016, I already recorded fully-grown larvae near Galaxidi (Delphi region) in sea height. 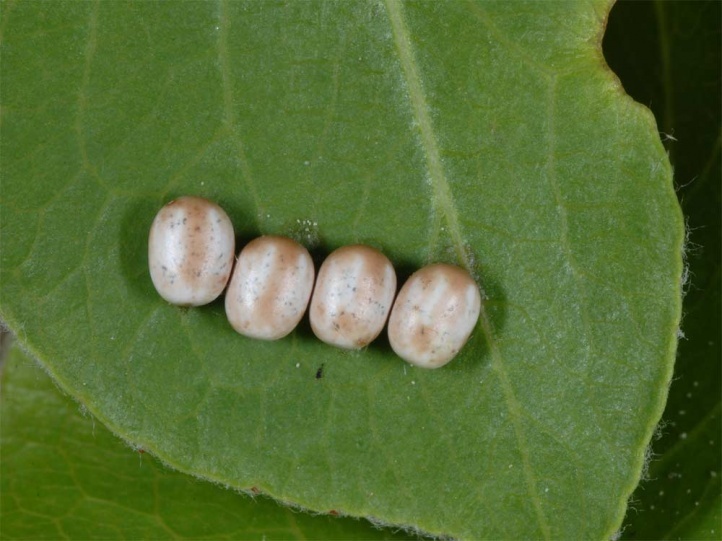 In Samos, I found eggs in early May on the upper side of a leaf on a planted pear tree. 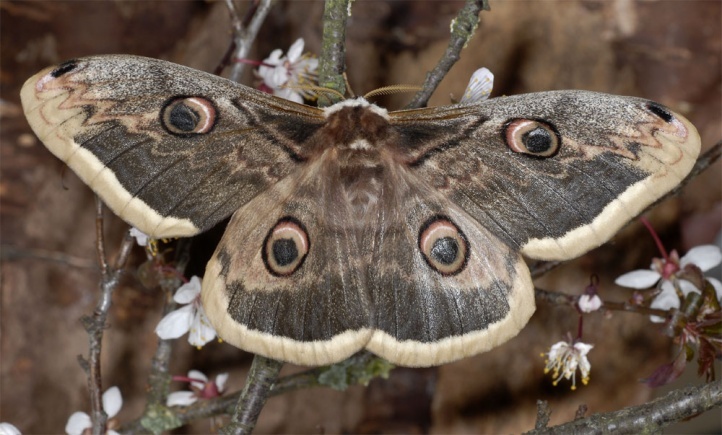 Saturnia pyri is endangered in the north (Valais, Ticino, southern Austria, Alsace) by the removal of scrubs in the landscape and the intensification in orchards (insecticid use). 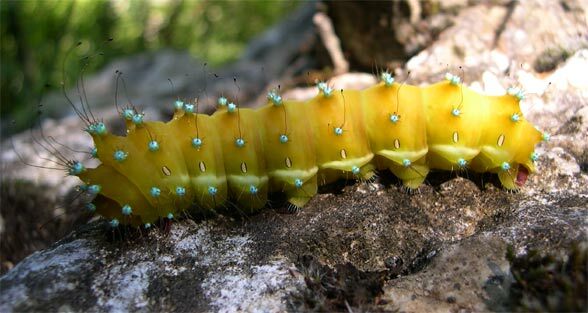 But in the south, e.g. 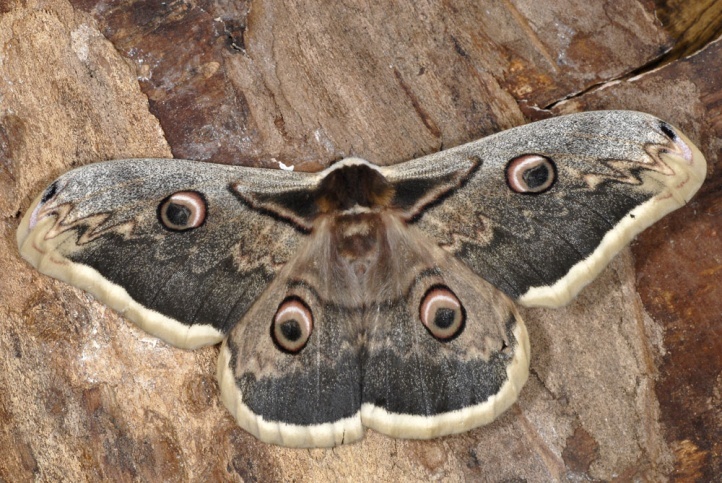 in Greece, the moth is still quite common. 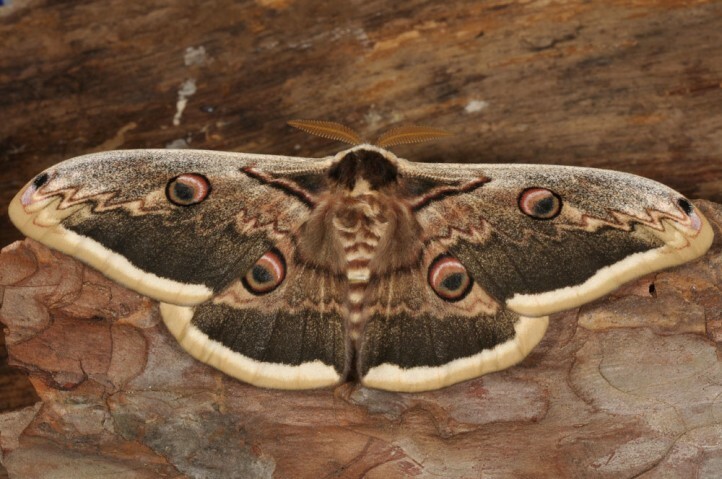 Saturnia pyri is lacking in Germany, though sometimes single adults are reported which migrated probably from nearby France, particularly in the Saarland, where temporary reproduction is possible. 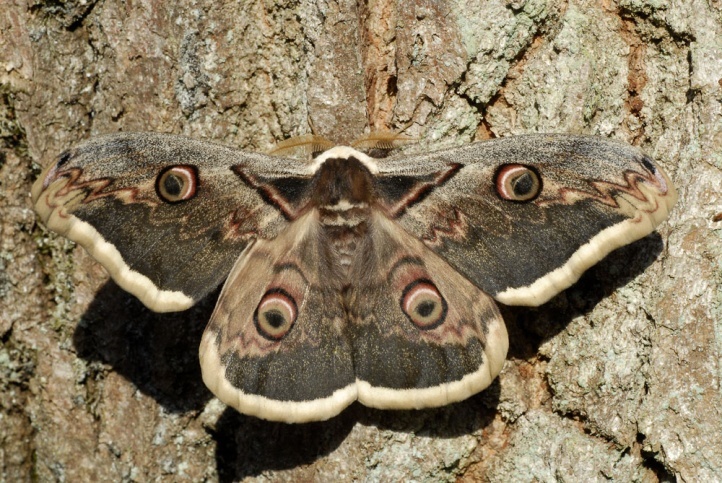 Perhaps Saturnia pyri could expand its range with global warming. 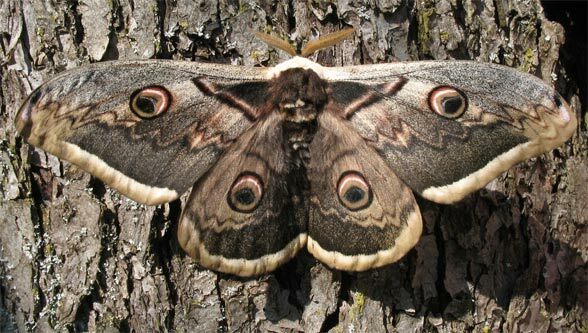 Saturnia pyri occurs from North Africa across southern and the more southern Central Europe (Southern Alps, Alsace etc.) 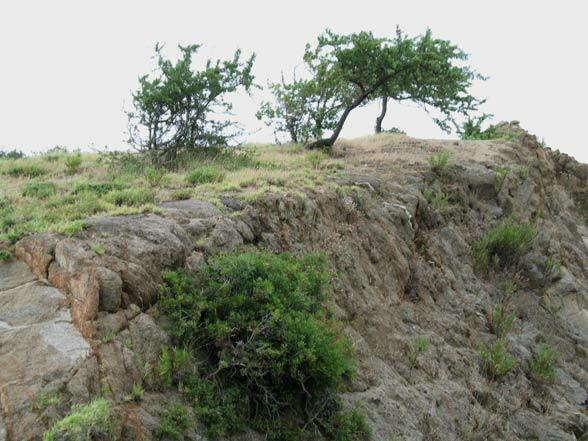 to western Asie (Iran).